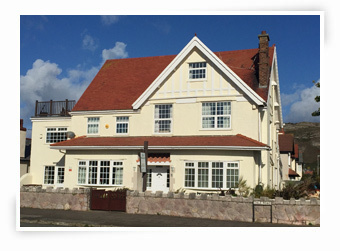 Welcome to Seashells Holiday Accommodation, a delightful 2 bedroom home located in Llandudno’s West Shore, Queen of the Welsh Seaside Resorts. A haven of exclusive tranquillity, this stunning holiday property provides luxury self-catering accommodation in a unique setting in North Wales. 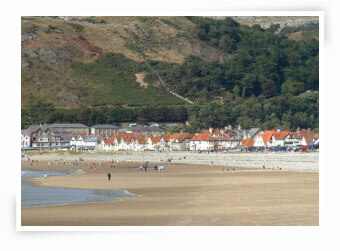 The house overlooking the beach and Conwy Mountains is situated 50 metres from the West Shore beach. Commanding an idyllic location, yet only a short walk from the bustling shops, cafe's and restaurants in the town centre. Llandudno is a charming Victorian town and is Wales largest seaside resort. It is situated on the Creuddyn Peninsula, between the two limestone headlands of the Great Orme and the Little Orme. Llandudno’s West Shore is the lesser known shore line of the town’s two wonderful beaches, the award winning North Shore and the quiet, sand dunned West Shore, in this ‘Welsh Riviera’ beach resort. West Shore is Llandudno's quiet "blue flag" beach ideal for families, couples and sports oriented golfers and windsurfers.